Escape to the great outdoors and enjoy this rustic log cabin! 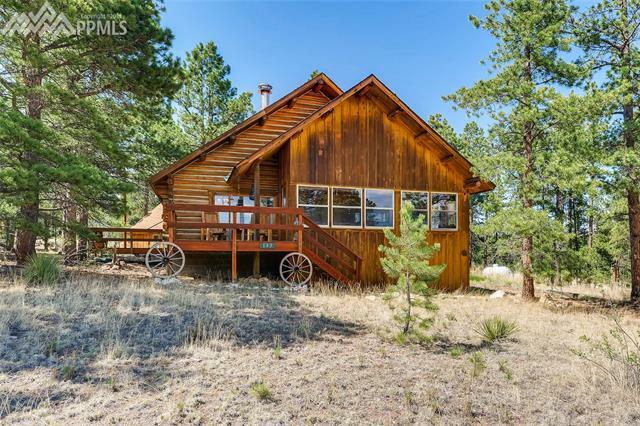 Perfect for the weekend getaway or permanent residence, this home is just 5 minutes from Eleven Mile Reservoir for great fishing, hiking, and exploring Colorado's great outdoors. Relax in front of a crackling fire in the great room, surrounded by warm, honey-hued logs or step outside and enjoy mountain views and wildlife from one of the two decks. Plenty of room to park your car and toys in the spacious 2 car garage. Appliances and furnishings stay!